Just in case you haven't seen this yet. 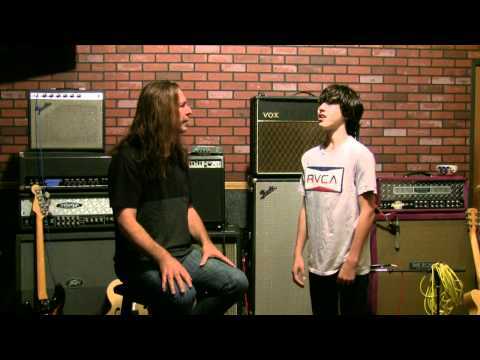 This is 15 year old Ryan Haeri singing Journey's "Faithfully"
This vid was one that convinced me to buy the vol1 DVD . Awsome job young lad. Yes! ...and if he's that good, NOW, think about how he's going to sound in about ten years!!! Couldn't agree more. Steve seemed to have such amazing technique, not to mention the super high voice he was born with. His performance looked very stressful to me. Why was he putting so much pressure to his stomach? Sounded great on the other hand, and it wasn't an easy song to cover. What is the count on the video timer where you see pressure on the stomach? It's a long video, and I'd like to look at the parts you are talking about. I presume you mean the Steve Perry video, because you can't see Ryan's stomach? From 2:40 he seems to be struggling a lot to breathe properly. I maybe wrong. But it's not nearly as effortless as Steve's. I think singing Steve Perry material effortlessly is an elusive quality for most mortals. Ryan is getting a lesson on how to do it, so he's in the learning phase. The abdominal area is the engine for great singing, so that's where any parts that require effort for a student or a master will be coming from.